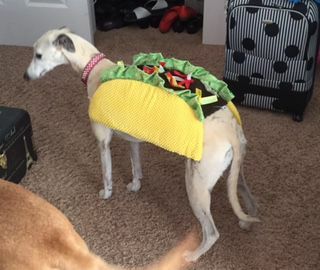 Our family favorite, our Whippet's Taco costume, sadly did not even make the list of the TOP TEN dog costumes for 2017. And Halloween's on a Tuesday! (Taco Tuesday, anyone?) Remember, if you have dogs coming to your door, be sure to give them a real dog treat or a tennis ball, not candy! 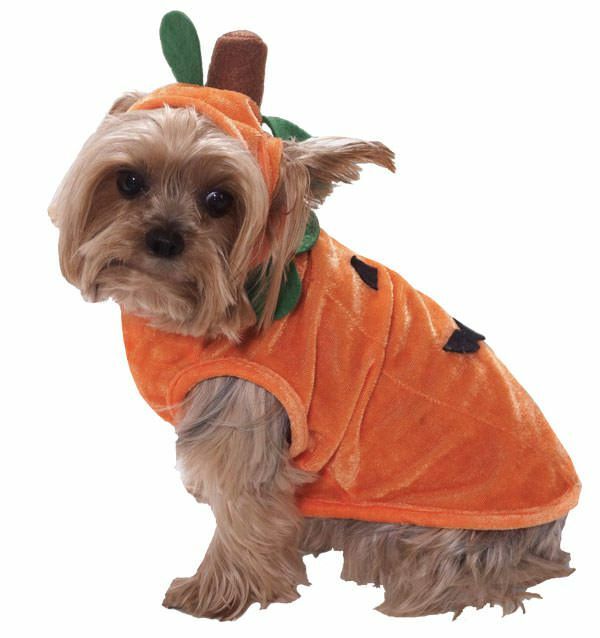 • and Ta, Dah - the #1 FAVORITE costume for dogs: A PUMPKIN! This little pup does make a pretty cute PUMPKIN!